Passing through a temple at the foot of Banpingshan mountain, Kaohsiung, these friendly locals invited me to sit with them a while and and have a beer and a chat. In Taiwan, Taoist temples are meeting places, especially for the older generation. They are not only places to bai bai (pray), but places to meet good old friends, drink Taiwan Beer, eat snacks, tell jokes and enjoy some entertainment. 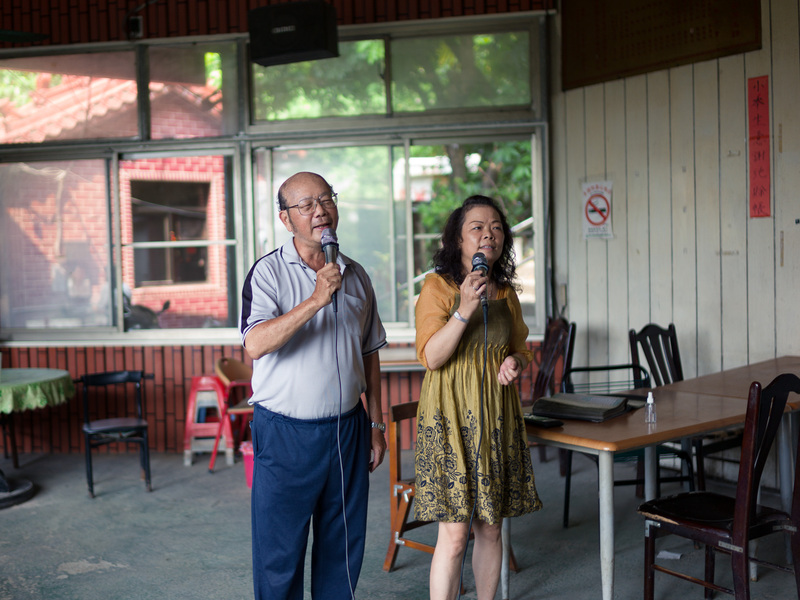 These guys meet regularly at the Banpingshan temple to sing together to karaoke videos of their favourite old Taiwanese songs (which inevitably have irrelevant videos in the background since the original songs don’t have any music video. Provocatively posing young ladies and someone’s random holiday video from Europe or Japan seem to be the most common theme).